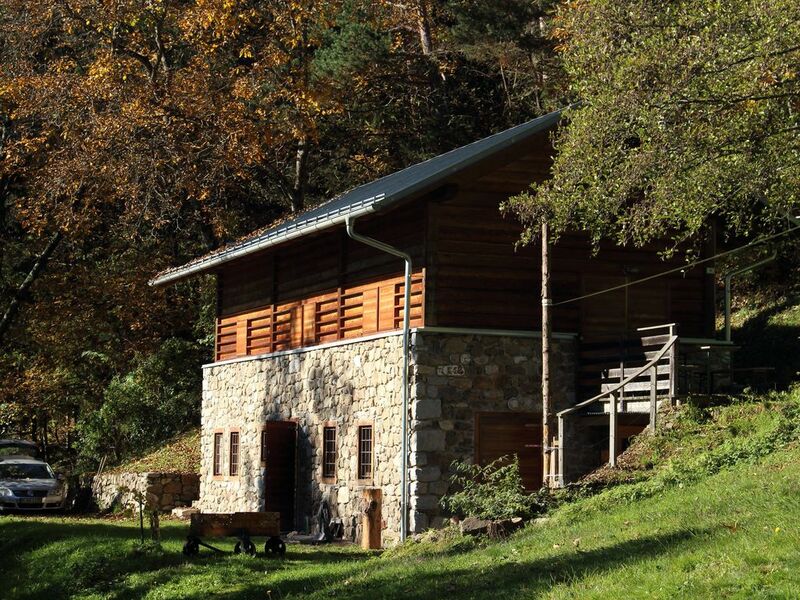 Renovated in 2006 from the scratch, the former 'maso' (summer house used for farming) has won an architectural award. The property is located approx. 900m above sea level by the woods with the view of 2300m tall chain of mountains Ortigara. 8000 m2 huge private meadows. Fully furnished new living area 100sq.m on two storey plus gallery. Large living room with kitchen (35 sq.m) in the ground floor with fitted kitchen, gas stove, dishwasher. Separate store room with washing machine and two bathrooms. Upstairs there is a living room (35 sq.m) with double sleeping couch and bedroom (15 m2). Gallery under the roof with additional double bed. Large terrace with constructed grill. Electric hot water, heater with kitchen stove that burns with wood, a modern wooden oven with viewing panel and an open fireplace. Access along an 800m forest road (no snow clearance). You can reach the village in 10 minutes by walk through a steep forest trail. No television. The surrounding area is ideal especially for mountain hiking. In the nearby village there is a free tennis court available (10 minutes by walk). Bike trails are there in Valsugana. For swimming it is advisable to visit Lake Levico or Lake Caldonazzo, 25 km far. Day trips to cities like Bassano del Grappa (40 km), Vicenza (50 km), Padua (60 km), Venice (120 km), Trento (45 km). The nearby winter sports facilities are found in Panarotta 2000 (35 km) and Passo Brocon (28 km) as well as cross-country ski trails is in Enego (20 km).